As any parent who has had to deal with colic will testify, it’s one of the hardest, upsetting and emotionally draining experiences you will go through as a new parent. While harmless enough, colic causes your little one to cry excessively. All babies cry, for a lot of different reasons, so establishing whether they’re suffering from colic can be difficult. If you’re worried your baby might be suffering from the condition, below you’ll discover more about colic and how to spot the signs. 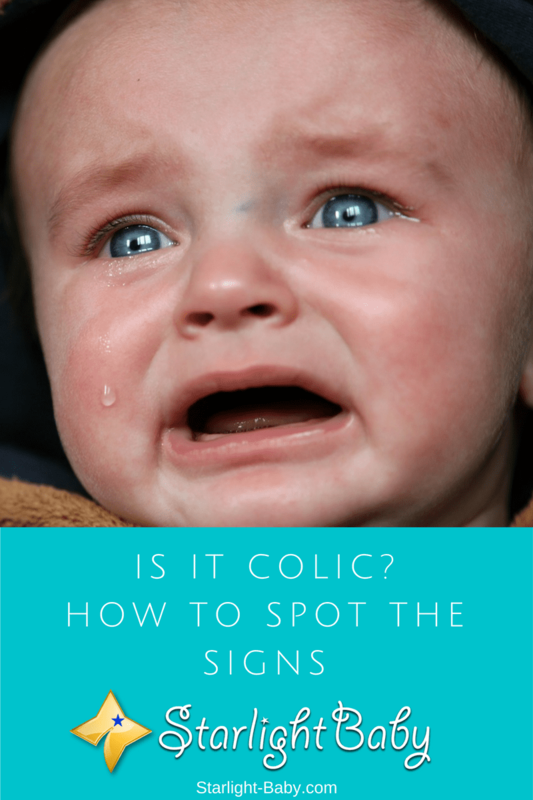 If you’ve barely heard of colic before, it’s common to think it’s some kind of disease. It isn’t. Colic is diagnosed in babies who cry excessively, but they are otherwise healthy. So if your little one has a temperature, a cold or any other kind of illness, it’s unlikely to be colic. However, saying that, excessive crying can cause vomiting and a slight temperature if the baby is overly worked up. It’s always better to see a doctor if your little one is showing any signs of illness. The first step to determining whether there’s a problem is to establish the difference between normal and excessive crying. Let’s face it, any amount of crying can seem to last a lifetime! However, from the age of two weeks to four weeks, babies do cry a lot. The crying phase usually starts to get better once they reach around four months of age. Excessive crying, or colic, is usually diagnosed if your baby cries for more than three hours a day, for a period of at least three weeks. By this time parents have usually shed quite a few tears of their own in frustration! Colic usually presents itself from the age of two to three weeks. If your little one was premature, it could start two to three weeks after their original due date. With colic, you’ll find your baby cries more frequently at certain times of the day. Most tend to cry more during the afternoon or early evening. The tone of the cry is also different to normal crying. It becomes louder and higher pitched. It’s also typically done in short bursts too. A colicky baby will start and stop crying suddenly. Of course, there could be a genuine reason for the crying as it most commonly signifies a need to be changed, hunger, tiredness or fear. 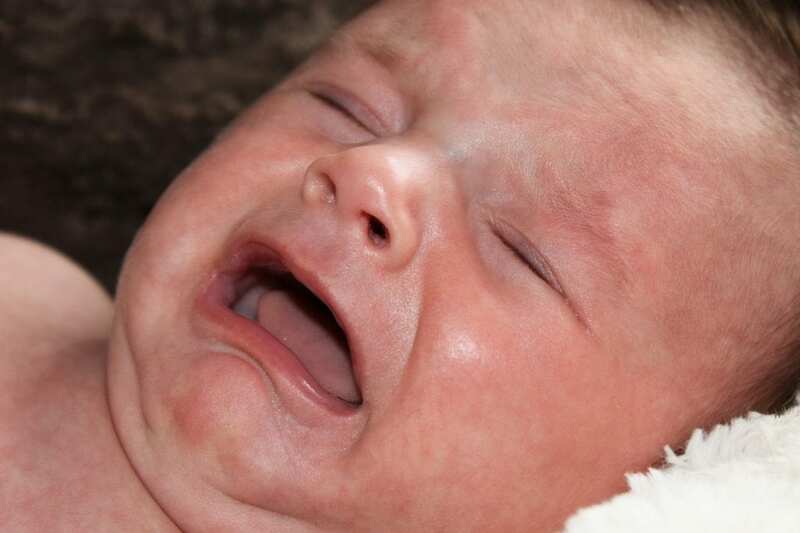 If you can rule out all of the common causes of crying, it’s likely it is a colic problem. While gas isn’t a cause of colic, it can definitely be a strong sign of the condition. As your baby cries more than usual, they naturally swallow more air. This leads to a build-up of gas. So if you notice they have become particularly gassy, it’s a strong sign that colic may be the issue. So onto the important bit – how long does colic last? As with every problem you face with your newborn, colic doesn’t last forever. Although it will get worse before it gets better! It’s around six weeks when colic really sets in so be prepared for the extra hard work to start! However, it will usually subside during the age of three to four months. It’s estimated that by the age of four months 80% to 90% of babies suffering from colic are completely over it. So if you’re struggling to stay sane, mark the date in your diary and remind yourself each new day is a day closer to it being over. So I Don’t Need To Take My Baby To The Doctor? As colic isn’t a disease and it isn’t harmful to your baby, it’s still a good idea to take them to see a doctor. Colic affects an estimated one in five infants, making it a very common problem. However, other things should be ruled out rather than simply assuming the excessive crying is colic. It could be that your baby has a urinary or intestinal infection. They’ll also be able to see whether development is going well. Then, if colic is diagnosed the doctor will also be able to give you very useful tips on how to deal with it and make the problem as painless as possible. Overall colic isn’t particularly harmful so don’t worry if your baby is diagnosed. It’s not clear why some babies get colic and others don’t, but it’s thought to largely be down to temperament. Remember, always go to the doctor to get a proper diagnosis and watch out for any signs of illness as this will indicate that it’s not actually colic, but something else. Colic isn’t an easy thing to deal with, but it is temporary and there are things you can do to make the experience less traumatic. I know that colic is not harmful, is upset the baby and us hearing the baby crying. Thank God that my son didn’t have colic when he was a baby. Hope I will have this luck with my second baby! I never heard of colic. I had a cousin that used to cry often while still a baby and because I never knew about the existence of colic, I never suggested to his parents to take him to the doctor for a check-up. However, I am happy to know what it is all about and also understand the signs that can cause it. Never heard of colic, however, I have seen a lot of babies who cry too much. In my experience and observation, babies cry when they soiled their clothes, they are hungry, they are uncomfortable and they are in pain. Thanks for this useful and interesting article.